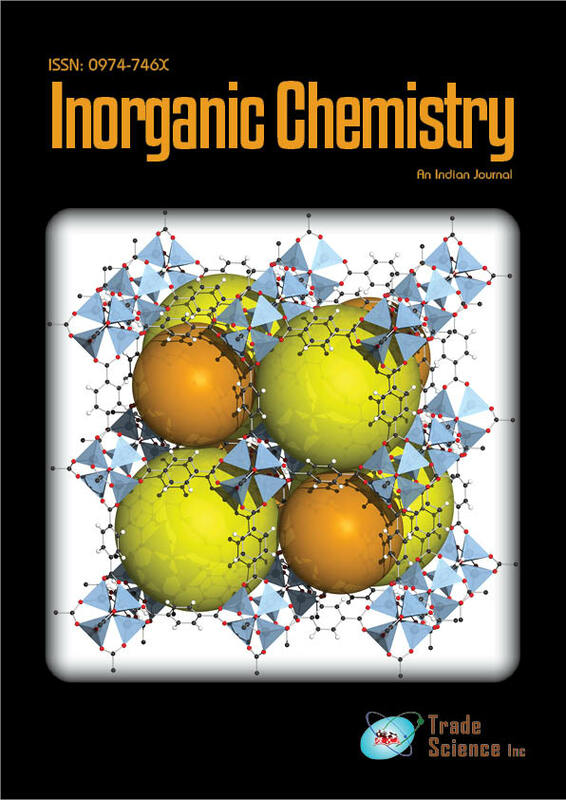 Benzil bisisonicotinoyl hydrazone complexes of tervalent metals Ti, Zr, Sn, Hf, and Th have been prepared in differentM: Lmolar ratios (2:1, 1:1 and 1:2), in different solvents (MeOH andDMF) and in different pHmedia. The complexes have been characterized by elemental, thermal and spectral (i.r. and electronic) analyses. Spectral studies indicate octahedral geometries. The title ligand acts as either one of the following:- Neutral bidentate (cis or skewform) chelating via the two pyridine nitrogen (complexes 1, 2) or one pyridine and one azomethine nitrogen (complex 3)Monobasic bidentate (skew) chelating via one azomethine N and enolate O, complexes (4-7). Dibasic tetradentate (cis form) chelating via the two azomethine N and the two enolate O (complex 8).